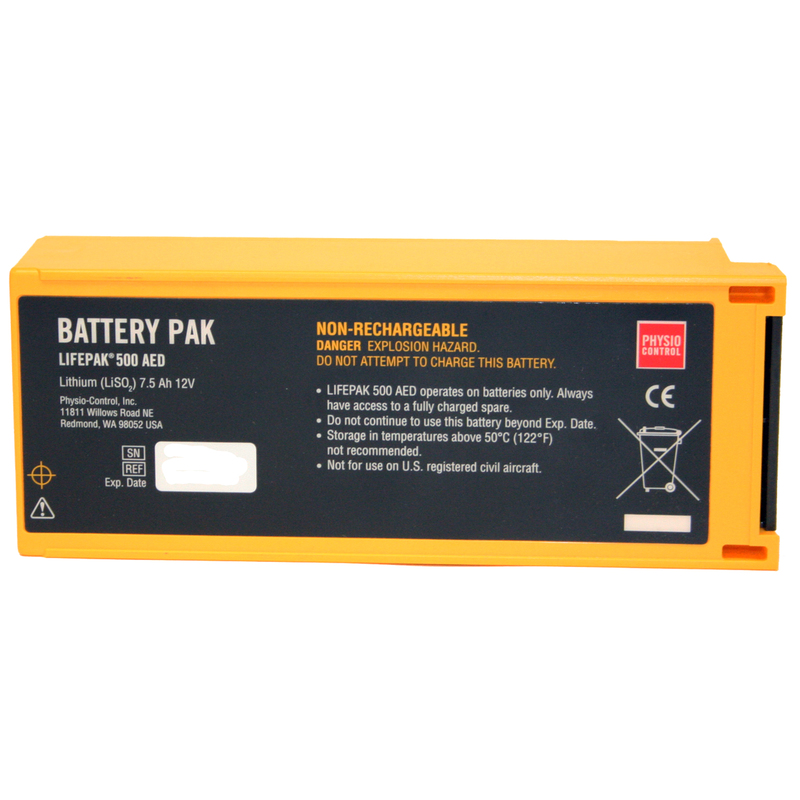 Now, not taken into consideration is the question regarding “duty to provide care” – and what is really the up-to-date 2014 standard to provide care as it relates to AEDs or CPR in these facilities? One excerpt of a study states, “Surveys have shown that many elderly in different parts of the world want to be resuscitated, but may lack knowledge about the specifics of cardiopulmonary resuscitation (CPR). Data from countries other than the US is limited, but differences in physician and patient opinions by nationality regarding CPR do exist.” In the essence of observing the opinions of those elderly that do want to be resuscitated – perhaps there will be some marketing advantage to employ by organizations that implement AED programs. For a summary of up-to-date Nursing Home laws and examples of corporate position statements regarding AED programs, complete the following form! Here are 4 simple steps you’ll need to take when you find yourself in an emergency situation as a caregiver with a responsive person. Practicing these will help you know exactly what you need to do in an emergency. (S)igns & Symptoms: What do you notice for deformities, open wounds, tenderness, swelling, if any? Do you notice any sweating, anxiety, rapid breathing? (A)llergies: Do they have any? (M)edical Conditions or medications being taken or when were they last taken? (P)rior problems they have had? Prior health history or medical emergencies? (L)ast food and drink they had? (E)vents: What were they doing just prior to the emergency? Did you or they observe anything odd or different? Other questions: Was there a complaint of pain or anything else relevant? What is different or unusual about your loved one? Observe and compile as much as you can before calling 911. 2. Call 911. Do this when you have the even slightest hint that your loved one is facing a life-threatening emergency. Do not attempt to take anyone with a potentially serious problem to the hospital yourself. Rather, 911 should be called immediately. It’s crucial to accurately describe the situation and speak slowly and clearly when talking with the 911 operator. 3. Loosen any tight clothing. Make sure your loved one has nothing constricting the airways, like a restrictive shirt or tie, and keep them in a comfortable position while you wait for help. 4. Comfort and communicate. Talk to your loved one until 911 arrives, but don’t encourage the victim to talk. You want them to be as calm as possible until emergency rescue arrives. Take slow, deep breaths to help yourself stay calm as well. You don’t have to be intimidated by the potential for an emergency. When one happens it may seem frightening, but the time you take to be prepared can make the difference between life and death. Whether you are a stay-at-home mom, caregiver to your parents, office executive, or a blue-collar worker, Think Safe has innovative emergency first aid tools and training that can be customized to fit your needs. Check us out online or call our experts today at 888-473-1777! 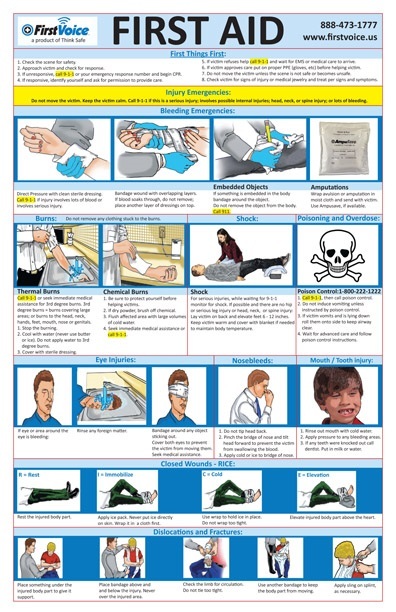 For a FREE first aid preparedness training course, contact us today! For a copy of a FREE resource card, fill out the form below! *Thanks to the following source: Linda Foster, MA at CarePages for some of the above content. The Cedar Rapids Gazette is getting involved in American Hearth Month with their special educational section in Sunday’s paper. This section included multiple articles on how to be heart healthy, including an article on the importance of learning CPR and AED training. 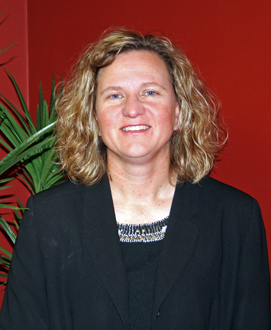 Check out the article below or click here to read it on the Gazette’s page. 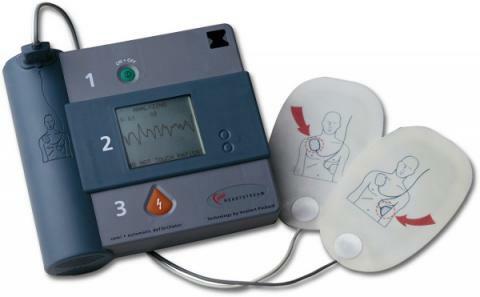 More than 92 percent of people who suffer sudden cardiac arrest outside the hospital die. If more people had CPR and AED training, that statistic could change. According to the American Heart Association, effective bystander CPR provided immediately after sudden cardiac arrest can double or triple a victim’s chance of survival. 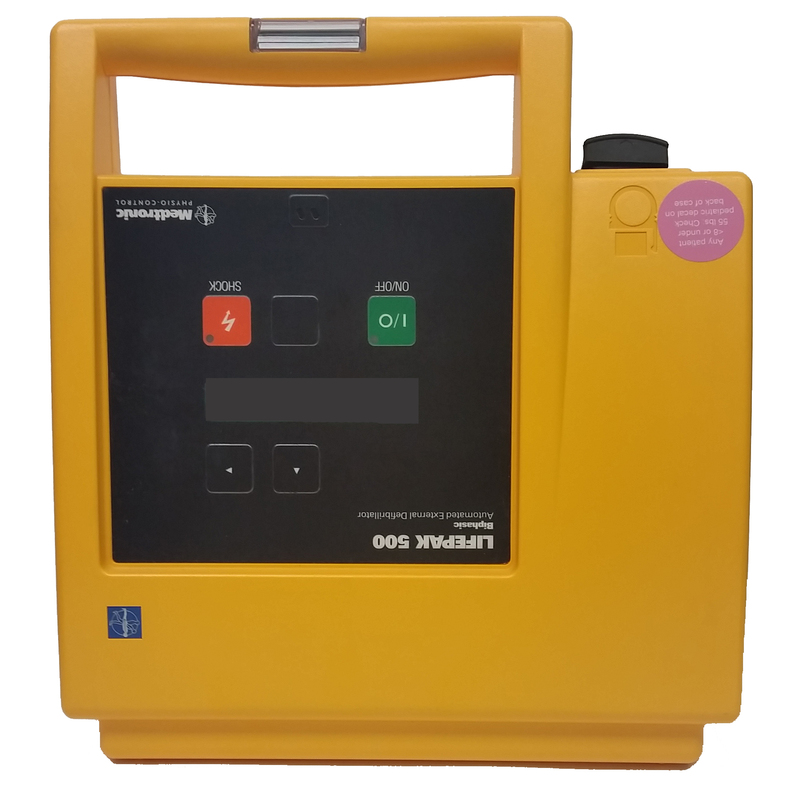 The victim’s chances of survival increases when defibrillation from an AED (automated external defibrillator) occurs within the first three minutes after sudden cardiac arrest; for every minute that passes from collapse to defibrillation, survival decreases seven to ten percent. CPR has been around for more than 50 years. If you have not been trained in CPR or are worried about giving mouth-to-mouth to a stranger, you can do chest compressions only, known as Hands-Only CPR: Call 911, and push hard and fast in the center of the chest to the beat of the Bee Gee’s “Stayin’ Alive.” Full CPR training is available locally through the American Heart Association, hospitals, and agencies like the Red Cross and First Voice. 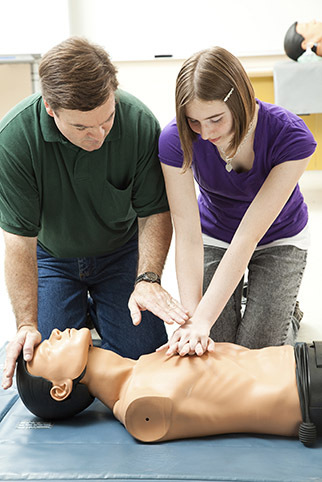 CPR keeps blood and oxygen circulating in the body until advanced medical help arrives. 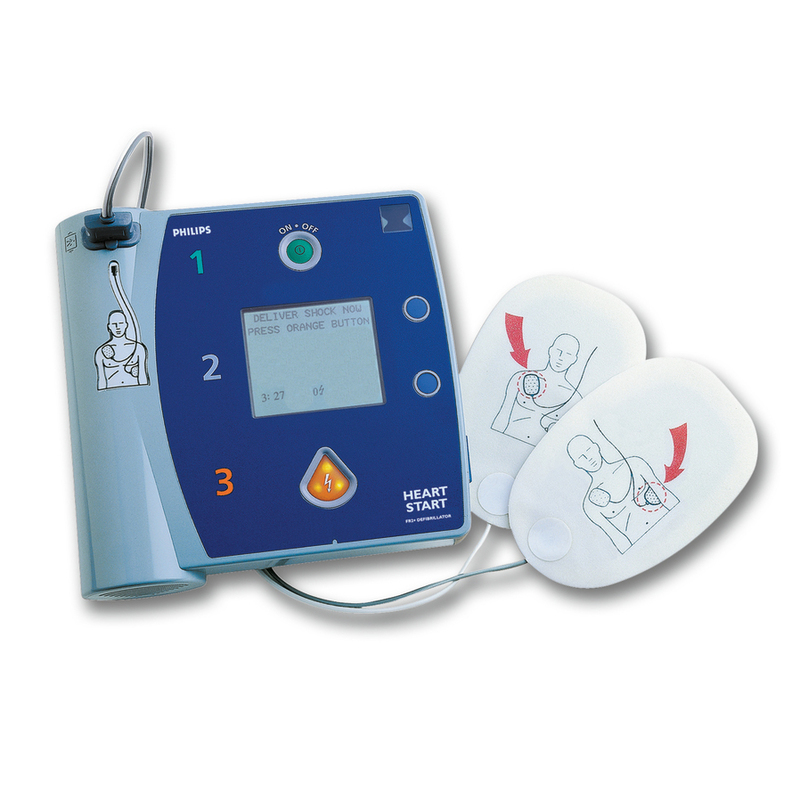 An AED can restart the heart, providing a better chance of survival. 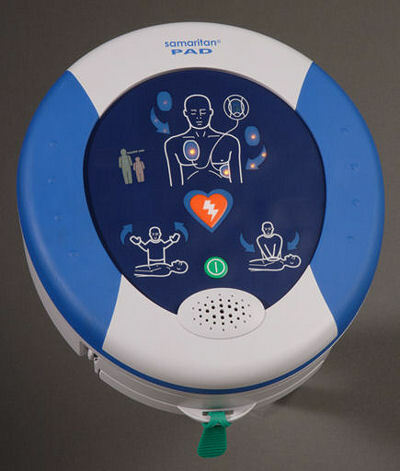 Today, AEDs are increasingly available communitywide — they’re in the public library and the mall, in schools, sports venues and churches, at the fairgrounds and in every police car in Linn County. 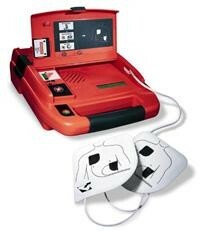 Many CPR courses incorporate AED training. 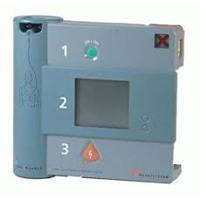 Fridal urges people to remember that cardiac arrest knows no age. It can strike anyone, at any time. Each year more than 300,000 adults and 7,000 children will be affected by sudden cardiac arrest. The best way to be prepared for an unexpected emergency — and help your loved ones — is to get trained on proper response techniques. Heart Attack or Sudden Cardiac Arrest? A heart attack occurs when a blocked artery prevents blood from reaching a section of the heart. Symptoms may be immediate and intense, or they may start slowly and persist for hours, days or weeks before the attack occurs. The heart usually does not stop beating during a heart attack. Still, don’t wait more than five minutes to call 911. It’s best to get to the emergency room right away. Sudden cardiac arrest occurs suddenly and often without warning. 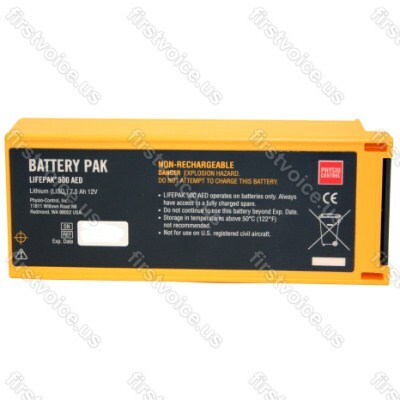 It is triggered by an electrical malfunction in the heart that causes an irregular heartbeat. If someone is not breathing normally and is not moving or unconscious, call 911 immediately and begin CPR. 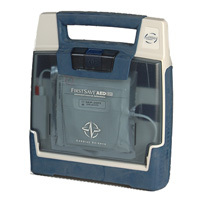 If an AED is available, use it as soon as possible. Most heart attacks do not lead to sudden cardiac arrest, but heart attacks are a common cause of sudden cardiac arrest. This story originally appeared in The Gazette’s American Heart Month special section, published on Feb. 2, 2014. For more information on our in person or online CPR & AED training classes, please fill out the form below or contact us at 319-377-5125! About 75-80% of all out-of-hospital cardiac arrests happen at home, so being trained to perform cardiopulmonary resuscitation (CPR) can mean the difference between life and death for a loved one. Approximately 95% of sudden cardiac arrest victims die before reaching the hospital. Death from sudden cardiac arrest is not inevitable. 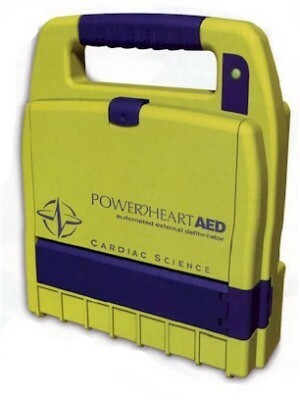 If more people knew CPR and had an Automated External Defibrillator (AED) to use, more lives could be saved. If bystander CPR is not provided, a sudden cardiac arrest victim’s chances of survival fall 7-10% for every minute of delay until defibrillation. Few attempts at resuscitation are successful if CPR and defibrillation are not provided within minutes of collapse. Coronary heart disease accounts for about 450,000 of the nearly 870,000 adults who die each year as a result of cardiovascular disease. In 2013, more than 360,000 people in the United States died from Sudden cardiac arrest (SCA). Sudden Cardiac Arrest is most often caused by an abnormal heart rhythm called ventricular fibrillation (VF). Cardiac arrest can also occur after the onset of a heart attack or as a result of electrocution or near-drowning. When sudden cardiac arrest (SCA) occurs, the victim suddenly collapses, becomes unresponsive to gentle shaking, stops normal breathing and may be only occasionally gasping. Immediately call 9-1-1 and provide CPR and use an AED, if one is available! For more information on Sudden Cardiac Arrest (SCA) or a FREE CPR training session, fill out the form below! You are currently browsing the Think Safe Blog blog archives for February, 2014.